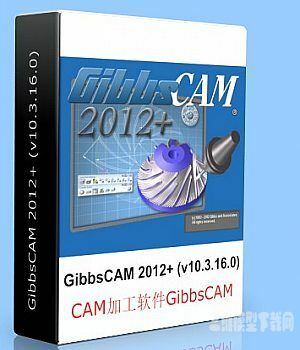 GibbsCAM® is a state-of-the-art, PC-based computer-aided manufacturing (CAM) system for programming computer numerically controlled (CNC) machine tools. GibbsCAM is organized as a single application. The base package's capabilities can be optionally extended through the addition of seamlessly integrated modules. This way the system can be configured for your initial needs and be gradually expanded as your needs grow, protecting your investment. 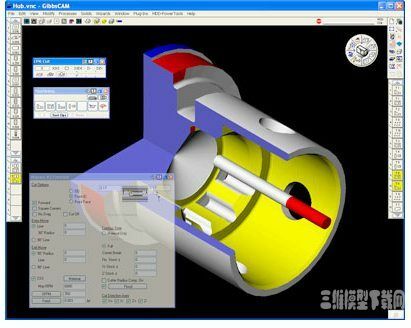 GibbsCAM's graphical user interface was designed for machinists by machinists, resulting in a user environment that is both familiar and efficient. This manufacturing orientation ensures that GibbsCAM's powerful functionality is also extremely easy to learn and use. GibbsCAM's free-form interaction style allows you to move easily between geometry creation, toolpath creation, process visualization/verification and post processing. GibbsCAM's ease-of-use, programming efficiency, speed and short training time makes GibbsCAM, the CAM industry's ease-of-use leader, the best tool for programming your parts.